The T20I series between Australia and India is done and dusted, and it's time to move to the 4-match Test series. The first Test is set to begin on December 6th, but before that, India take on Cricket Australia XI in a 4-day match. Pundits and fans around the world have been making their predictions for the Test series, and VVS Laxman was the latest to make a very bold prediction. 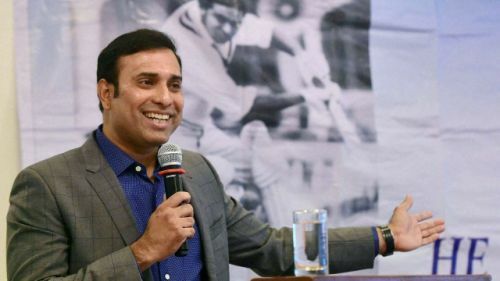 The former Indian cricketer was at the launch of his autobiography '281 and beyond' when Sports Tak caught up with him and asked his predictions. The legendary cricket not only predicted a series win for India but also said the scoreline would be 3-1. Laxman believes that the Indian side has enough quality to win matches down under and they will do it with ease. The former batsman also mentioned that the suspension of Steve Smith and David Warner for this series would have no significant impact on India's chances of winning the series. The duo's absence has not turned the tables in India's favour nor has it made it easier for them. “There will be no possibilities of drawing as its difficult to make a draw in Australian conditions. India will not get an opportunity to make it happen not because Steven Smith and David Warner is not playing in the Australian team. India has quality players to achieve it. Lets hope, they fulfil my prediction as because India has talent, potential and they should play according to it,” said Laxman. The first Test is being played at Adelaide on December 6th before the teams head to Perth for the 2nd Test on December 14th. After a week-long break, the Boxing Day Test will be played at Melbourne and then the final Test at Sydney, on January 3rd, 2019.